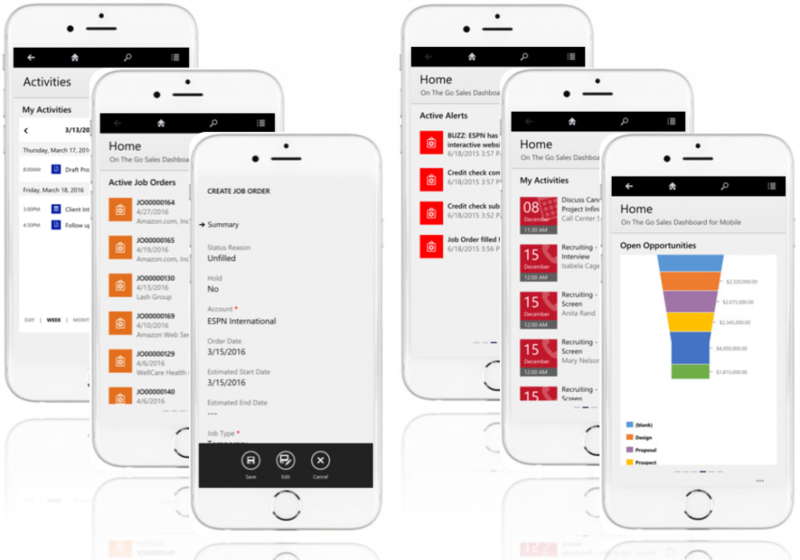 Microsoft recently released the CRM 2016 mobile app and it is now available for download on most mobile and tablet devices. This is a great way to keep your business mobile and have the information you need at your fingertips. If you run your business on Microsoft Dynamics CRM, you can give the app a try and download it here >>. As a Microsoft Gold Partner, Professional Advantage is at the cutting edge of technology and want our customers to experience the very best. A few of the 1Staff team members have been taking this app for a test drive and have found that the app works great for the mobile professional. In fact, 1Staff team member, Steve Ferhad, was recently traveling abroad for business and stuck at a hotel with spotty Wi-Fi. With the CRM mobile app, Steve was able to keep on top of his tasks, appointments, and take notes from sales calls directly into our CRM. If you are looking for a full ATS in your pocket, then you are best off accessing your CRM in a web browser. We would also caution using the app on a small device for extended periods or for hefty projects. Some aspects of 1Staff, such as candidate search, do not translate across to the app and should be performed on a desktop with multiple screens, allowing you to easily move between a worklist, job order, and multiple candidate records. The mobile app is great for doing business on the fly: checking appointments, looking up key stakeholders, recording meeting or interview notes, creating follow up tasks, or checking the progress of a job order. With the CRM 2016 Mobile App you can access your on-the-go sales dashboard, view active alerts and active job orders, or even create a new job order. The CRM 2016 Mobile App also allows you to view your schedule for the day, recent activities, and open opportunities.